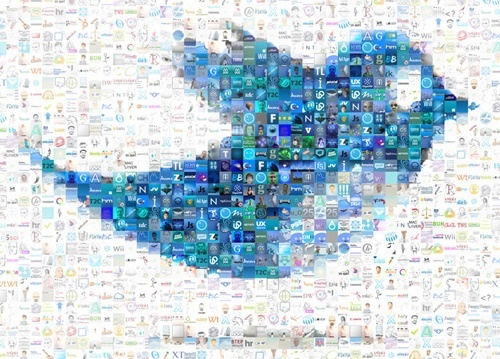 Ready to get your hands dirty with some Twitter advertising? Now's your chance! On April 30th,Twitter announced that advertising would finally be available to all users through the launch of its new, self-service ad platform. Previously, advertisers had to be invited to use Twitter ads -- and spend a minimum amount of money per quarter -- through the full-service platform. With those stipulations no longer in place, now even small mom and pop shops and businesses with smaller marketing budgets can leverage Twitter's advertising platform using Twitter's self-service platform to give their organic Twitter presence a boost. 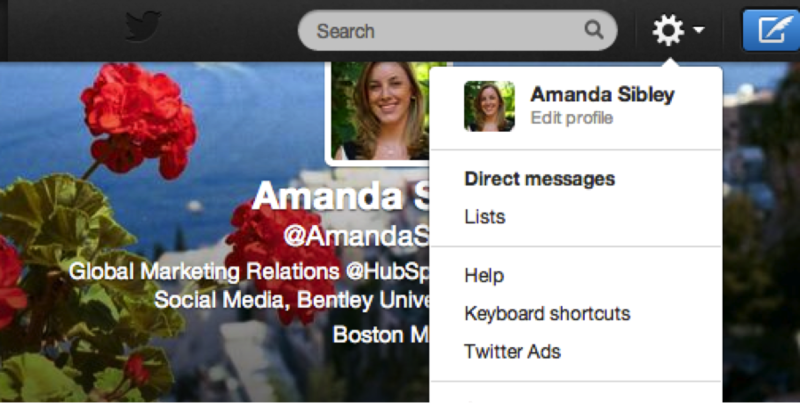 All you have to do is go to your Twitter settings, and you, too can start setting up a Twitter ad campaign. Some paid promotion can be a great complement to your organic inbound marketing efforts, so if you're new to Twitter ads, we're going to give you a primer on just how they work. We also encourage you to sign up now for our free workshop on May 21 -- co-hosted by an expert from Twitter -- to learn more about how to optimize your Twitter presence for business. 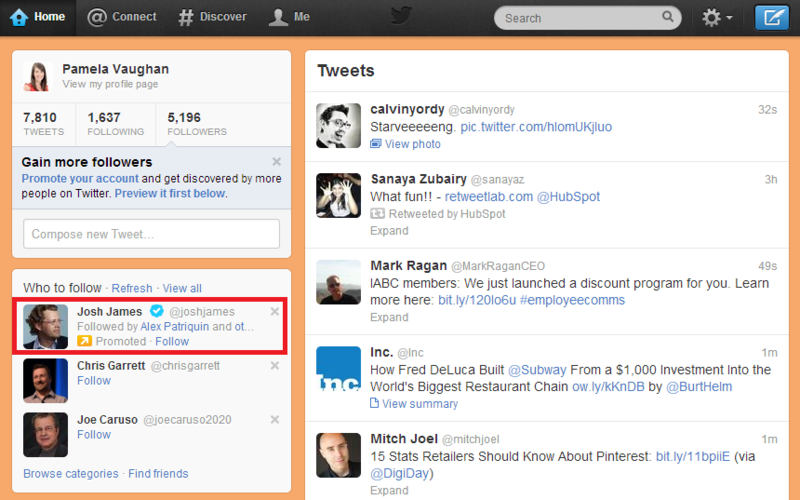 Once you click into Twitter's advertising page, Twitter will walk you through the steps you need to take to get started. In fact, this is one of the few times the “introduction” phase of any software product has proven to be extremely helpful to me. Not only does Twitter walk you through what you need to do and explain each step, but you're also able to easily set up your first campaign using Twitter's helpful tips. Once your first campaign is set up, you'll be directed to the summary page, which includes a review of all the information you added in for targeting, tweets you are promoting, and bidding. What Can I Promote With Twitter Ads? With Twitter's simple user interface (UI), you have two options for what you can promote: 1) your individual tweets, or 2) your full Twitter account (e.g. @HubSpot). Keep in mind that there is no difference between where your individual Promoted Tweets get displayed and where your organic tweets get displayed. Promoting a tweet will simply help you get more visibility for an important tweet promoting something you want to share, such as a blog post, an event you're hosting/attending, or perhaps a landing page for a marketing offer. 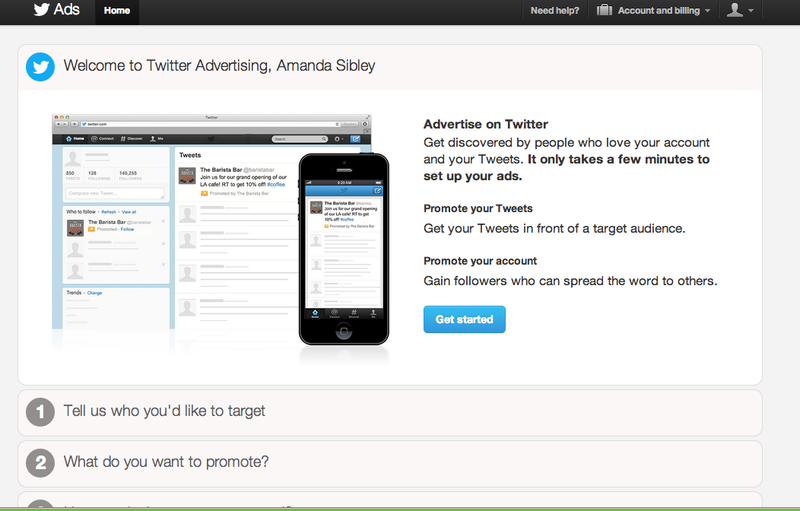 Within the ads platform, all you need to do to promote a tweet is select the tweet you want to promote under 'Promoted Tweets,' and then select a budget and bid for the campaign. Promoted Accounts, on the other hand, will help you increase your following by promoting your @username to the left of your targeted audiences’ Twitter timelines. In other words, you can select either interests or users/accounts your audience is likely to be following. For instance, if I sold fashion jewelry, I would be sure to select @usernames of popular fashion bloggers and celebrities that endorse certain types of fashion. This way, the people who are seeing my Promoted Tweets and/or Promoted Account are more likely to be interested in what I have to offer, and as a result, will be more likely to follow me on Twitter or click on my tweets. As you input more interests or @usernames, your estimated audience will automatically calculate and appear on the right. While it may be enticing to target a larger audience, keep in mind that if your audience is extremely large, you may end up blowing through your budget very quickly. I recommended targeting an audience of at least 10,000 users. Keep in mind that the targeting you select is used on all ad campaigns you set up, whether Promoted Tweets or a Promoted Account. While this overall targeting can be changed at any time, just be mindful that you cannot set up different targeting criteria for individual tweets -- or different criteria for a Promoted Account compared to Promoted Tweets -- if you're using theself-service ad platform. Now that your campaign is set up, lets talk money. Twitter will never spend more than your maximum bid, but if possible, they will spend less. Depending on the competition from other advertisers bidding on the same @usernames or interests, your likelihood of appearing for certain criteria will vary. To see how much of your targeted audience you will reach depending on your bid, adjust your bid and see what the estimated reach on the right says. As you can see, as you increase your bid, your estimated reach also increases. This can be changed at any time by going back into the ads platform. Twitter also recommends bids based on the size of your target audience, so you can use those for reference if you're not sure what you should spend starting off. Then you can adjust over time depending on your results. Interested in learning more about how to use Twitter for business? Find out more about how to get an effective Twitter ad campaign started by joining us for a webinar -- co-hosted by Twitter -- on May 21st.